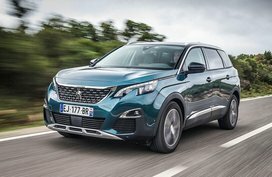 In order to help car buyers understand monthly fluctuations in car price list in the Philippines, Philkotse.com provides updated Subaru Philippines price list as of April 2019 as follows. With thousands of Subaru for sale at the cheapest prices updated daily by certified owners and dealers on Philkotse.com, your next ride may be just a few clicks away. Check out the latest Subaru cars Philippines price list this April 2019 on Philkotse.com, including the Subaru BRZ, Subaru Forester, Subaru Impreza, Subaru WRX, Subaru XV and the Subaru WRX STI. Latest special promotions and discounts from all Subaru dealerships nationwide are also gathered here. 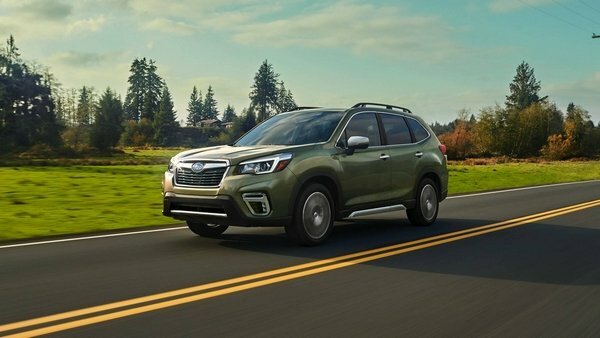 Note that the following car price list and promos from Subaru are updated regularly, so please bookmark this page to catch up with the latest automotive deals. Recently, Subaru PH has announced the pricing for select models in 2019 including new excise taxes. Subaru will continue posting new prices for their models until their stocks last, so remember to visit our page regularly to keep an eye out for the most updated price list soon. 1. Subaru BRZ 2019 price - Philippines - April: A small yet excellent sports coupe priced at P2,058,000. 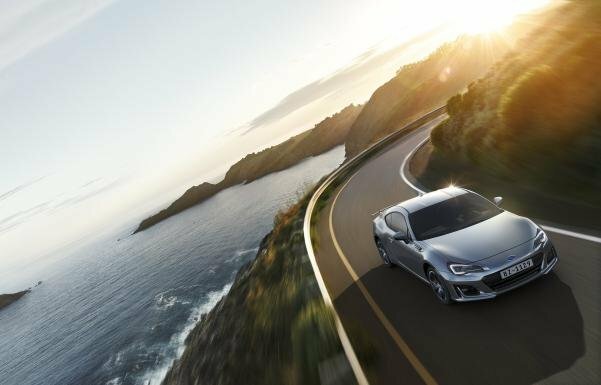 The BRZ has been known as a small yet very excellent sports coupe of Subaru. Its name stands for Boxer-Engine Rear-Wheel-Drive Zenith and this name has become one of the most outstanding nameplates in Subaru lineup. The Subaru BRZ is considered to be a serious rival of the Toyota 86 and the Hyundai Genesis coupe in its segment. The car boasts a mean-looking front fascia. Especially, its exterior, interior and parts are about 90% similar to the Toyota GT86. The two cars are built under the cooperation between Toyota and Subaru, aiming to produce a fast-going capable machine in production and price if a single-brand-exclusive unit. 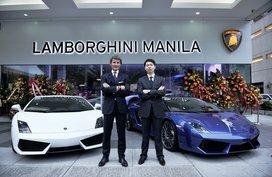 Therefore, the Subaru BRZ and the Toyota 86 are evaluated to be ones of the most affordable thrill-rides in the Philippine market. Under the hood, the 2.0 liter Boxer Engine of Subaru is now positioned at a lower position and closer to the motorist. It produces 200 hp and 205 Nm of torque, works in a conjunction with a 6-speed automatic gearbox. In the Philippines, a brand new Subaru BRZ 2019 gets a price tag of P2,058,000. That said, more affordable Subaru BRZ options are still available in our cars for sale section, depending on particular promos offered by each dealer. 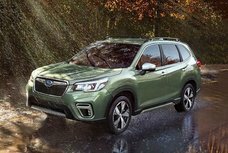 Thanks to a powerful 2.0L 16-valve Boxer powertrain, the Subaru Forester promises to conquer almost any terrain. The engine is offered options for X-Mode, Symmetrical AWD System and injection turbo. The car features an aggressive exterior design which comes with fierce hawk eye headlights, full-bodied hood and signature hexagonal grille. Its side also receives a unique design. Stepping inside, the Forester comes adorned with the innovative PIN code door access allowing users access their cars without the key fob, touchscreen multi-functional display, 8 Harman Kardon speakers and leather seats. While brand new unit will set you back at P1,548,000, you can definitely go for cheaper deals of used Forester for sale by local sellers/dealers. A thorough online research might take you days, even weeks but will allow you to find the best deals that fit your needs and budget. The Subaru Impreza was born to be a city sedan of Subaru. It is developed from the updated global platform of Subaru which is claimed to boost the car’s safety and overall performance and enhance its comfort, Noise-Vibration-Harshness and straight line stability. The car’s aggressive exterior style is created by series of well-designed features such as subtle hood creases on its side profile, distinctive hawkeye headlights and shark’s fin antenna. Getting inside, the Subaru Impreza can house up a total of 5 people with comfort, equipped with a full entertainment package consisting of 6 speakers, Bluetooth connectivity, Aux and a touchscreen head unit. The dashboard and the seats are also decorated with premium trims. 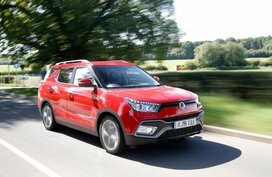 Power comes from a 2.0 litre 4-cylinder Boxer mill which can give an output of 156 hp and 196 Nm of peak torque, teaming up with a Lineartronic CVT delivering the power to the Active Torque Split Symmetrical AWD system. Rush to the nearest Subaru Philippines dealerships to check out this sleek sedan! 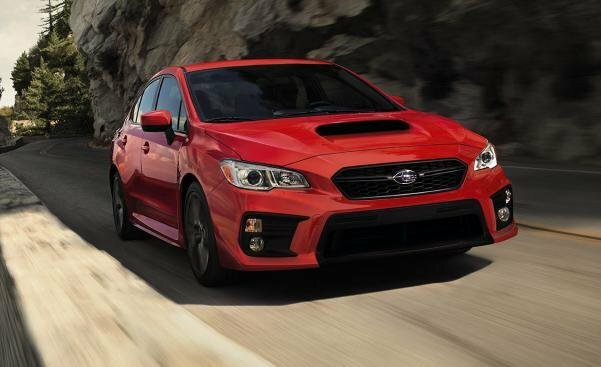 The Subaru WRX has received great updates from the carmaker in its style and performance since its launch. Especially, the newest model comes with aggressive detailing of both performance and aesthetic, lifting it to a higher position in the local market. The car is decorated with more side skirts and pronounced fender flares, new foglights and signature hood-flushed hood scoop, earning it a wide-body and attractive look. The WRX can offer a spacious and comfortable cabin for 5 passengers while providing them with safety and comfort features including the set of Recaro bucket seats, side, curtain, dual front and knee airbags. It runs with a 2.0L 4-Cylinder gritty turbocharged DOHC Boxer Engine which is combined with a Sport Linieartronic CVT. 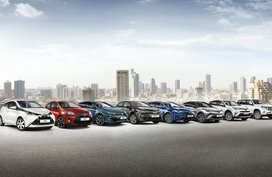 Besides, it is equipped with rear Double-Wishbone suspension, a sports-tuned front McPherson Strut and a trademark Symmetrical AWD System and exclusive SI-Drive Technology. In terms of price, a brand-new Subaru WRX 2019 will set you back from ₱1,930,000. To widen for choice, here we have a full list of Subaru WRX for sale on our site. 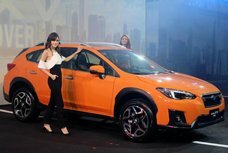 The Subaru XV jumps into the auto market in the Philippines as a high-performing small crossover. 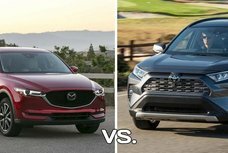 The XV has recently received great updates in 2019 with a little wider and longer body than its predecessor. It now comes with clearer SUV features like roof rails, slightly longer wheelbase and a higher ground clearance. Inside, the interior is furnished by a slew of on-board hi-tech entertainment system and 5 leather seats. Especially, the car is armed with the Subaru EyeSight and Subaru's Core Tech, offering the driver great support with a lengthy list of useful function like Lane Departure Warning, Lead Vehicle Start Alert, Lane Keep Assist, Adaptive Cruise Control, Pre-Collision Throttle Management and a Pre-Collision Braking. The Subaru XV gets a 2.0 litre 4-Cylinder 16-Valve Boxer powertrain, along with a Lineartronic CVT and a famous Symmetrical AWD System of the brand. 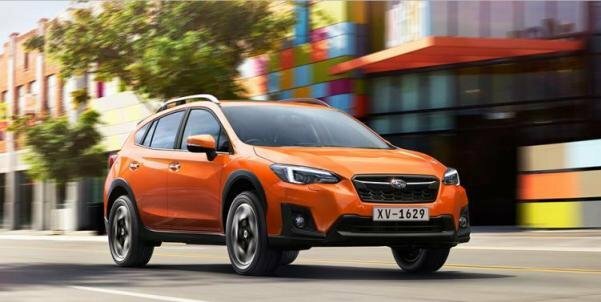 At its price point, the Subaru XV is definitely worth of your consideration if you are on the market looking for a versatile crossover. The Subaru WRX STI was launched in the Philippines at the 10th Manila International Auto Show 2014. Obviously, the exterior is inspired by the Impreza design, proven by massive hood scoop, plus a hint of a monster within. The car features an aggressive front fascia adorned with STI rear wing, side skirts and fender flares. 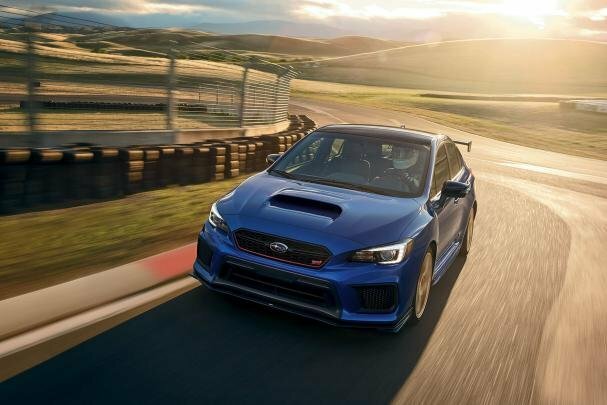 The Subaru WRX STI 2019 takes power from a 2.5L wild 300hp High-Boost Turbo-Intercooled 4-Cylinder Boxer Engine, mated to a 6-speed manual gearbox, driven by a Symmetrical AWD System. 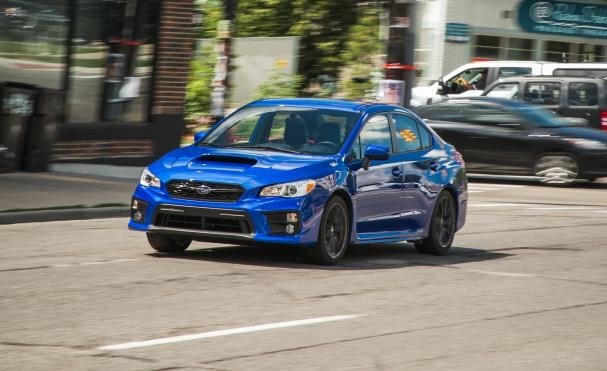 More options with better price and attractive promos can also be found in our complete list of Subaru WRX STI for sale. Check out now! In-depth reviews of most sought-after Subaru cars will be updated in our Subaru review section.